European Union says first assessment finds Iran's uranium enrichment plan does not breach its commitments under 2015 nuclear deal. The European Union on Tuesday reacted to Iran’s announcement that it will boost uranium enrichment capacity, saying a “first assessment” indicated the plan does not breach its commitments under the 2015 nuclear deal. 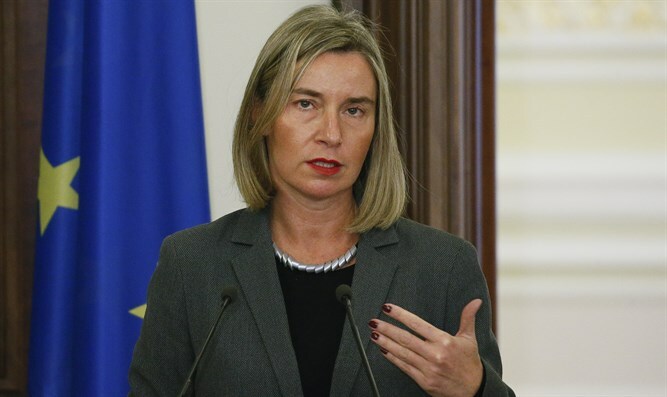 “Following a first assessment, the announced steps per se are not a violation of the JCPOA,” Maja Kocijancic, spokeswoman for EU diplomatic chief Federica Mogherini, told AFP, using the official name for the agreement, the Joint Comprehensive Plan of Action (JCPOA). “However, at this particularly critical juncture, they will not contribute to build confidence in the nature of the Iranian nuclear program,” she added. Earlier on Tuesday, Iran’s nuclear chief, Ali Akbar Salehi, notified the International Atomic Energy Agency (IAEA) that the Iran Atomic Energy Organization is opening a center for producing new centrifuges for uranium enrichment at the Natanz nuclear site. The head of the Iran Atomic Energy Organization had said on Monday night that Iran intends to inform the UN nuclear watchdog about its start of a process to increase the country’s uranium enrichment capacity. Salehi said on Tuesday that the expansion does not violate the JCPOA, from which President Donald Trump pulled out last month. “As stated repeatedly, we expect Iran to stick to all its JCPOA commitments, to be monitored by the IAEA, as it has been doing so far and has been confirmed by the IAEA in 11 consecutive reports,” Kocijancic reiterated to AFP on Tuesday. “The IAEA is the only body in charge of the monitoring and verification of the implementation by Iran of its nuclear-related commitments under the JCPOA,” she said.